I started making Monograms for gifts. I create them with my +Silhouette Cameo, scrapbook paper, glue, and my +Xyron Inc sticker machine. I Made them as gifts, which needed personal touches for each precious person. These were all given to my nieces, and nephews. Auntie Karen Marie had to add a special color, paper design, or some even have a nod to their nicknames. All you need from the Silhouette portion of this project is right on this screen! Did you know that you can print paper from your Silhouette? I was searching for paper with bears and stopped by Archiver's Scrap booking Store. (Sad this Company is now Closed) I asked a clerk, she was a delightful person, who showed me how you simply type bear paper in the Silhouette Cameo search box and hit enter. A few second later there was a paper that was perfect for my bear project. When I arrived home I added it to my cart, and a few seconds later, I printed it out on my printer at home on card stock. I think it came out very successful. 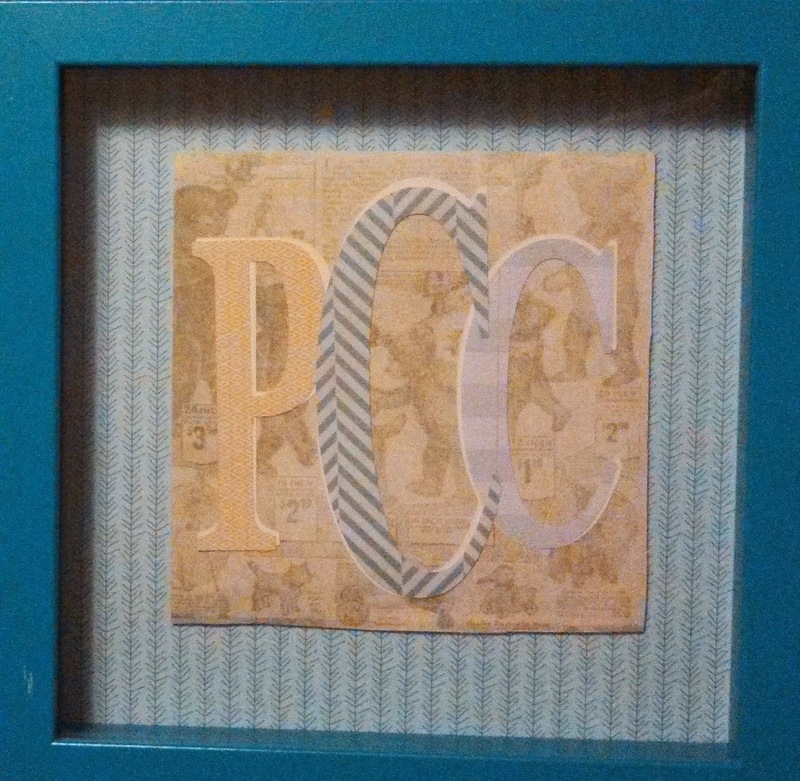 I wanted to show you here that I used a 6" x 6" frame on the top. When I was completing my gifts I ran out of those frames. 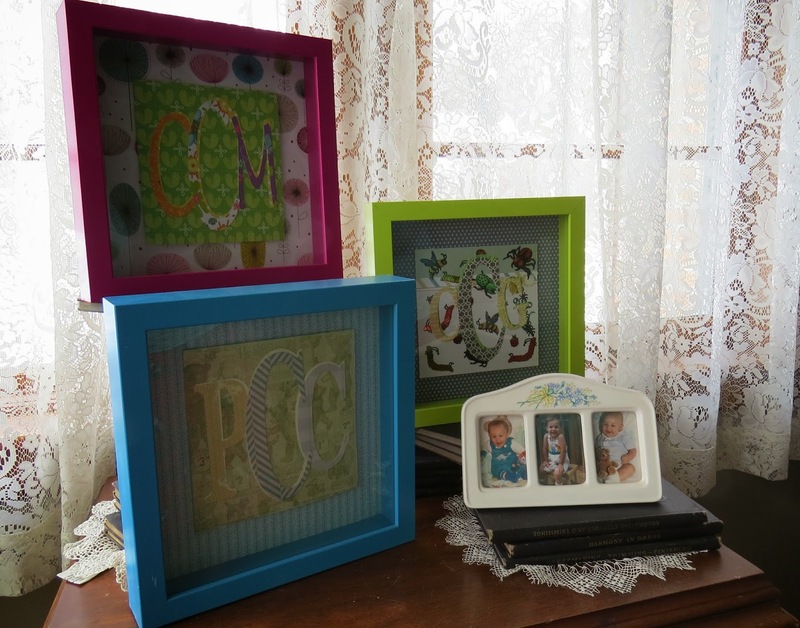 Being a Creative Person, I adapted to what I had on hand, 9" x 9" frames for the remaining 3 frames. It does let me show you how you can get a different look by adding an additional background paper and foam tabs to lift the design off the page. How many of you have a Big Family? Now I mean BIG! I love giving gifts to all my nieces and nephews but, when you have been blessed with enough to field more then two baseball or softball teams. Next mix in 3 great nieces, 6 great nephews, and an additional delivery is waiting to surprise us any day now? Wow! I just realized we can field another team + One, I hope by now! Each color and style of Font has been chosen for the room colors, personality, and gender. As you look at this picture above, you will notice the Letter mans Font from the +Silhouette Stores in the middle. 1. Here you see how I set up my page. I add the 6" x 6" Square first because it gives me the area I will need to work. 2. Then I select the Monogram Letters. The Center is the last Initial which I make larger then the first and middle. In this instance K is the last name initial, L is the first name, and M is the middle one. 3. The final step to set up my monogram project is to make another layer to add depth. To do this I Copy my letters and paste to page then line them up as shown. Move the individual letters and square off the page for a minute. Next I highlight and drag over the whole image in the bottom left of the screen and hit weld. Then you can drag it all back to be on one page again to save. Click save I used the persons name, it was easiest for me, then I could use this template for each layer. Now to create the layers you will need a Background, Welded and Three separate initials. This is where I choose to through in each personality of the recipient of the gift. Above is is an example of how I did this with the paper. First the background is paper with bug stickers for the nickname bug. Just lady bugs and fluttery bees did not fit this boy's personality but I needed bugs. The stickers worked out great and know my nephew has custom paper for his gift. I do wish I would have copied, and saved the paper with the bugs, as a image for future use though. Next time! In order to cut the layer I just moved the other items to the side and cut only the 6 x 6 inch section. Next I moved over the welded layer into the page and slid out the background. Layer number two is the welded layer, which I usually chose a subtle pattern. This one is grass because that is where bugs live! Pretty corny I know. Ha Ha! Then I move the welded section off to the side. The final Layer is the individual letters. I like to make them all different paper patterns that compliment each other. I put one letter on at a time, because I am usually using small pieces of paper by now. I do not want the paper to get caught in the up machine. I know, I could attach them all lined perfectly but, this is just my preference, after a few mishaps. I glue the first and middle initials on then place the last initial on top to give it more importance. TaDa! Three of the many Monograms I have made. I have realized that I could have used no cut option on this project. I have learned that process since I made these for gifts. That is one of the great parts of life, we always have opportunities to keep learning. If you are wondering where frames came from it is one of my favorite stores +Michaels Stores. I hit half prices sales and stock up. Please follow along with my Silhouette Challenge Friends have shared their posts today too! Very cute. I love the teddy bear paper! So precious! These are great :) They're so bright and colourful with the prints and background papers. I've been seeing single colour monograms around and while I love them, your monograms are a refreshing change. Very cool... the bug stickers really caught my eye... I have a bug loving little boy around! Karen, these are precious! I make things for my nieces and nephews too...not nearly so many...but it is fun for me to personalize them and know that they will not get the same thing from someone else. I'll have to remember to check out the selection of frames at Michael's when the next sale is on, thanks for the tip! Beautiful gifts, love all the possibilities with the Silhouette. What fabulous gifts for your many nieces & nephews! I love how you went beyond personalizing them with their initials to considering their interests when you chose the paper designs! I know they are going to LOVE these!!! I love being a part of this fabulously talented Silhouette Challenge group! Love the layering behind the monogram -- great idea! I'll have to try this on my next lettering project. Great gift idea. Thanks for sharing. Thank you for taking your time to read my blog post today. I had fun with this project and would love it if you shared pictures of any Monograms you do too. These are the gifts they received for 2013 Christmas. They were a big hit from the youngest to the oldest. Michael's and Target has some gems too. Making the gifts was fun because I was able to use so many different papers to capture a small part of each niece and nephew. They are awesome for a baby gift too. I had fun making these and the kids loved the presents. They all received them for Christmas gifts and were well received from the oldest to the youngest. Thank you for taking the time to read my SC post. I noticed you are a Chicago Gal, and I live in the suburbs. I'd love to see pictures of your next lettering project. Oh wow! They look amazing! Great work!!! this is a beautiful project! and I really like the result! thank you for sharing Karen and thank you for linking up of Coffee Break and chat party! You are welcome Zina. Thank you for the party and the compliment. what an impressive 3d effect! Wow Karen, your family is truly bless to have such a creative person giving them lovely gifts! So pretty! Thank you for your kind words and coming over to read my blog. I would love to have you return. Your comments are so sweet. I will be over for a visit to Black and White Obsession. This a wonderful project Karen! I love it and I'm a huge fan of frames so this could go right to my to do list. Love the colors =D. Thanks so much for your sweet visit! Thank you for your kind words I am so glad you stopped by to see my Monograms. Oh I bet your gift recipients loved their monograms! 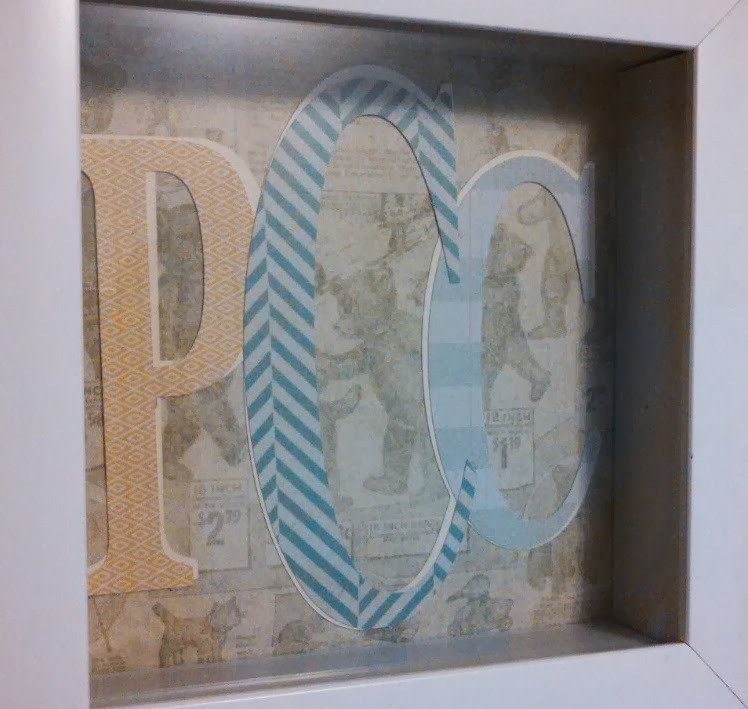 We are redoing our great room soon and I think I will add a monogram frame to the decor. Thanks for the idea. Thank you so much for your kind comment. I would love to see pictures, when you are done with your great room. You are welcome for the idea. I have to say this is my favorite part of blogging is the exchanging of creative ideas. What thoughtful and creative gifts, Karen! And you have quite the knack for coming up with the paper combinations you do. Brava! Thanks for your participation in this month's Silhouette Challenge - - and for being such an encouraging group member. I appreciate you! You did an amazing job with this! They are great gifts!!! Your kid words appreciating not only my work but also me have made my day. I love being a part of the group every one is so supportive. Learning and growing each day with others around means life is good. Thank you for the lovely compliments. It was a huge but fun project. I love these! I'm gonna have to try this! Sorry for the delay commenting. It's been kind of crazy around here. Thank you for reading my post I am glad you loved the Monograms. No worries on the timing life is meant to be crazy! Right? those are so beautiful! what blessed little nieces and nephews you have!! i have my eye on a silhouette!! Thank you for taking the time to read my blog. You are so sweet to leave such lovely compliments. Look for Sales on the Silhouette. I have two homes so I have two, although they are extremely portable. I bought mine on Overstock.com for a very good price. Thanks so much for your sweet compliments. I am grateful to be nominated for the Liebster Award. Congratulations to you both Sister and Mister! These monograms are just lovely!! Thank you Tricia for such a sweet comment. HI Karen! I am behind on comments and wanted to let you know that I shared and pinned this last week. Hope you had a great weekend. Great project. You sure know how to make me feel confident. 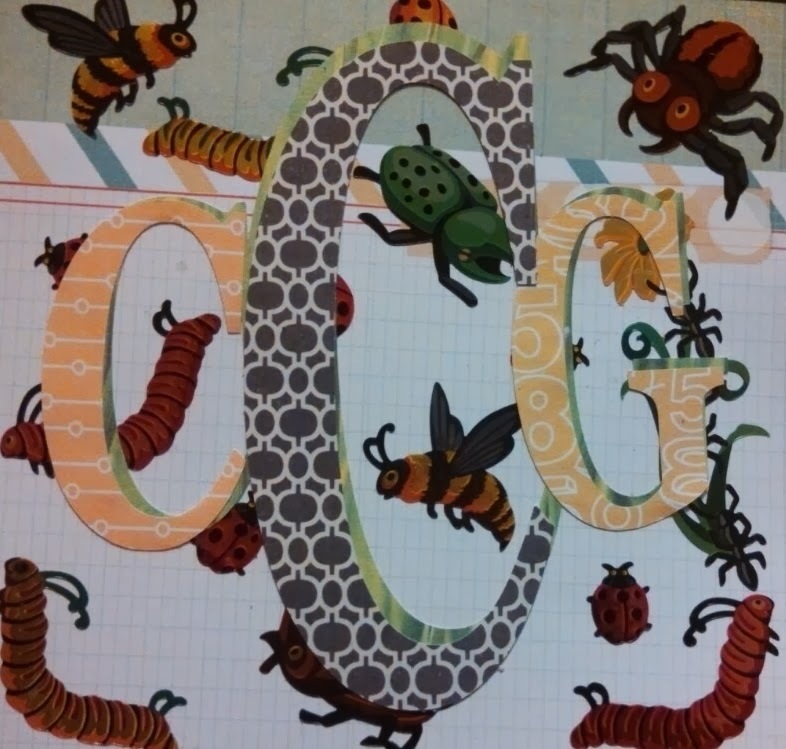 Thank you for sharing and pinning my monogram project last week. As you can tell it was certainly a labor of love. It is a quick personal gift to give.